Teaching art history to students without proper grounding in the arts has been quite a challenge. Visual education in the Philippines is really weak. We don’t have the equipment, the facilities, and the proper training and preparation for elementary and high school teachers. When most students reach their collegiate level, they barely remember anything on the arts. That is our challenge. This year, I will try again to get through to my students. Before I go into art history itself, I need to teach what it is about. It is incredibly annoying that CHED only allows books published in the past 5 years to be used in the curriculum. Maybe that is appropriate for technology courses, but in the arts, not quite. We do not re-write history every 5 years. What’s more, even if we do write using another perspective, that does not mean earlier perspectives and writings are no longer valid. Even in sciences, I doubt if they can better Einstein’s theory of relativity. Yes, he actually wrote and he is a good writer too. I don’t think that was published in the past 5 years as well. 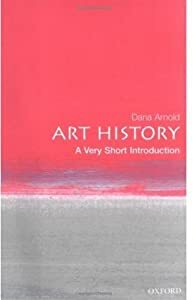 With that limitation hanging over my head, I still used Dana Arnold’s Art History: A Very Short Introduction. It’s simple enough to read, even for students. But it’s in depth enough to be substantial. Here is the presentation based on the first chapter What is Art History? in PDF form. The most important query here is, how do we look at art history? Do we simply accept and subscribe to the western male gaze? Or do we try to challenge that idea and examine or propose other perspectives? This is indeed, a continuing adventure in the study of the arts. 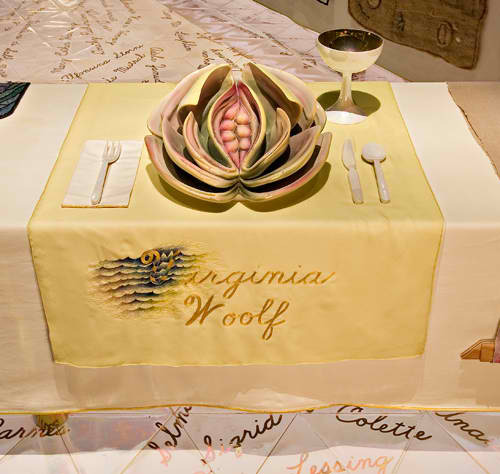 This entry was posted on June 21, 2012 by Portia Placino in Art History Class, St. Scholastica's College and tagged art, art class, Art History, Art History: A Very Short Introduction, Art Lecture, Dana Arnold, Judy Chicago, The Dinner Party, What is art history?.